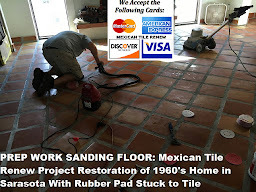 Mexican Tile Renew Project of Exterior Tile At Home of Enrique S. in South Sarasota FL, Repair of DIY Project that Went Bad. Sometimes the information the Do It Yourself customer gets from the Mexican Tile distributor in Sarasota is not all encompassing. It appears that the homeowner was not instructed to clean the Mexican tile and grout and let dry before applying the solvent base sealer that the Sarasota Mexican Tile distributor sold the homeowner without actually seeing the tile project, big mistake. 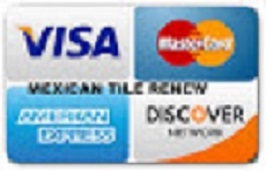 When we got to the home of Mr S. on 11/19/2015 we found the exterior Mexican Tile in very bad condition, the local Mexican tile distributor had instructed Mr S. to apply two coats of solvent based sealer to his tiles, the result was disastrous as the tile had not been cleaned properly and let dry before solvent based sealer application, see photos on left. Our Mexican Tile Renew Project of Exterior Tile At Home of Enrique S. in South Sarasota FL, Repair of DIY Project that Went Bad. Note mold going up wall in photo on left, this is after tile was supposedly cleaned and after two coats of solvent based sealer were applied. 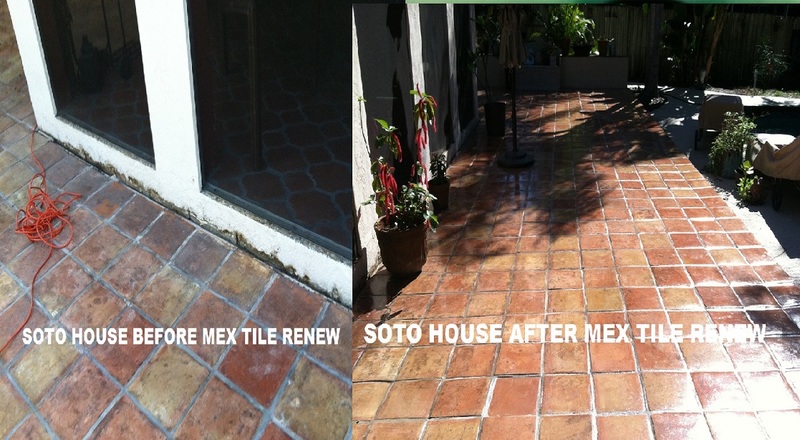 Mexican Tile Renew Project of Exterior Tile At Home of Enrique S. in South Sarasota FL, Repair of DIY Project that Went Bad. Mexican Tile Renew Project of Exterior Tile At Home of Enrique S. in South Sarasota FL Repair of DIY Project that Went Bad. 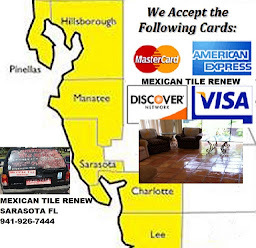 Mexican Tile Renew Project of Exterior Tile At Home of Enrique S. in South Sarasota FL Repair of DIY Project that Went Bad, final results on 11/23/2015 by Mexican Tile Renew were like night and day compared to the condition we found the tile on 11/19/2015.